Hi [INSERT YOUR FRIEND'S NAME HERE], Please check this out https://www.proactivehealthcare.co.uk/alkalife-ph-bicarb-balance?referrer=0 and get £4 off your first order (minimum order £30 excl. shipping). Thanks! FREE UK SHIPPING ON ALL ORDERS OVER £30! pH-Balance®, in tablet form, is a combination of sodium bicarbonate and potassium bicarbonate in a patented ratio, with a "time release" coating. The coating ensures that the pill does not dissolve in the stomach and therefore will not be neutralized by the stomach acid. The pill dissolves only slowly in the intestines, where the bicarbonate will go into the blood stream through the walls of the intestine. For people who have difficulty drinking enough alkaline water, the pH-Balance tablets are a perfect supplement to provide the body with much-needed bicarbonate buffers. Content: 1 jar pH-Balance contains 90 tablets and is for 1 month of use. Ingredients: 1 tablet contains 200mg potassium bicarbonate, 73mg sodium bicarbonate in a "time release coating. The pills do not contain any animal ingredients and are completely free of impurities. pH-Balance® is protected by U.S. patent 5,914,130. You can take the pH-Balance tablets in combination with AlkaLife PH drops and/or e-Cal. The purpose of the three products is safely adding sodium bicarbonate to the body. 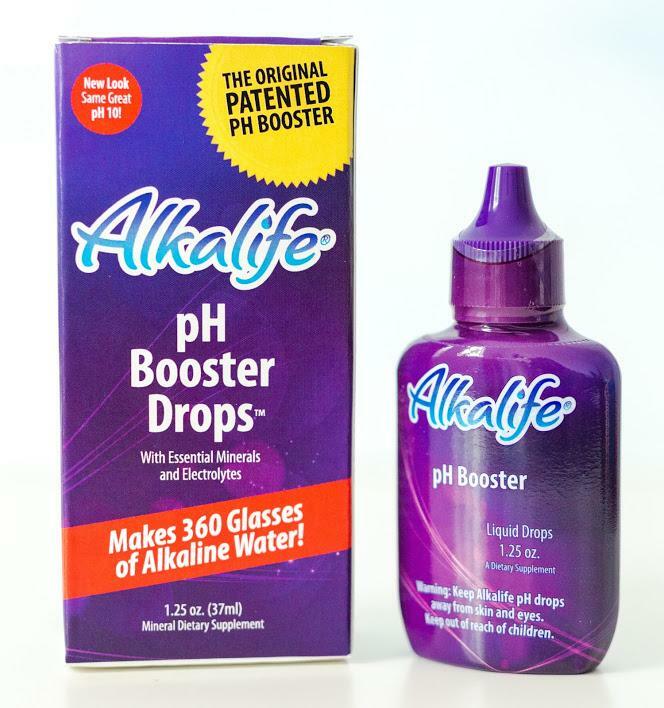 The AlkaLife PH drops achieve this because the body itself produces bicarbonate through the stomach wall. The pH-Balance and e-Cal tablets contain bicarbonate which is directly delivered to the blood stream through the walls of the intestine.